Muscle fatigue is a common side effect of strenuous exercises. Whether you’re a professional athlete or are new to the gym, your muscles will tire after doing repetitive movements over long periods of time. There are several ways to prevent or reduce muscle fatigue; getting a healthy snack before and after a workout is one. Another way is by doing self-massage techniques using foam rollers. You can use foam rollers for pre- or post-workout exercises to decrease fatigue. You can also use them during recovery days to soothe your aching muscles. A foam roller is a cylindrical exercise tool that can be incorporated into various workout routines and provides several benefits. Foam rolling reduces muscle exhaustion and post-exercise soreness, research shows. When you use it after a workout, you may be able to relieve pain associated with myofascial release. On the other hand, foam rollers aren’t only beneficial for post-exercise routines. You can use them before your workout, and it will improve your mobility and flexibility. As mentioned, you can also use rollers during recovery days to soothe your muscles. You can use them on any major muscle group, including quadriceps, calves, and upper back. However, you shouldn’t use them on more sensitive parts of the body such as your neck and abdomen. Foam rollers are usually long and cylindrical, but they come in all sorts of shapes, sizes, and textures. They have unique benefits and uses. For instance, a larger roller offers more versatility. Thus, you can use it for a variety of exercises. You can use it to target larger body areas such as your upper back. Firm rollers are great if you want to apply more pressure on parts that are usually tense. However, if you are new to foam rolling, it’s always best to get soft rollers. You can prevent potential injuries while you’re still trying to figure out how to use them. At the same time, a softer roller will give your body the chance to get used to this new tool. Foam rollers aren’t anything new, but these traditional workout tools have gotten a makeover in recent years. Now, you can get a powerful upgrade, one that vibrates. Physical therapists and the world of sports have always been fascinated with the effects of vibration technology. Today, such technologies are on the rise. Companies have been producing more vibration tools to aid in workout recovery, including the vibrating foam roller. A study published in the Journal of Sport Rehabilitation suggests that the vibration prevents pain signals from the muscles that are often associated with a myofascial release. Other studies also show that vibration relieves muscle soreness in the days following the workout. For such reasons, more professional athletes are using small-scale vibration therapy to hit sore spots, reduce pain, and soothe tense muscles. Ultrarunner Ian Sharman is one professional athlete who has incorporated vibrated foam rollers into his training regimen. For over a decade, he used traditional rollers to fight muscle tension and to soothe sore spots. But in the past few years, he’s been using this next-generation roller. In his interview with Outside,he likened the power of vibrating foam rollers to a jackhammer breaking up asphalt. According to him, these rollers can breakdown tight muscular tissues, greatly increasing recovery speed. If you’ve yet to get yourself a vibrating foam roller, you are missing out on a lot of benefits. For starters, they enable people of all fitness abilities to perform a self-myofascial release. You can pinpoint trouble areas and use a vibrating foam roller to treat them. Check out the list below to decide if it’s worth the upgrade. In the long run, foam rolling enables you to manage your recovery process. With a little practice, you can prevent injuries from recurring, increase physical mobility and improve your performance. Not to mention, you get to have free massages. The benefits of foam rolling are well-known, but because vibration tech in rollers is relatively new, not everyone is aware of the added benefits. Jordan Metzl, a sports-medicine physician who works at the Hospital for Special Surgery in New York, believes that it is more effective than your traditional roller.The vibration technology is able to apply more pressure into the muscles and activate your tissues. Plus, it’s far easier to operate. With a flip of a switch, you can apply it to a sore spot until you feel relieved. Mike Riccardi, a doctor of physical therapy at Finish Line PT, believes that vibrating foam rollers can benefit both those who enjoy rolling and those who don’t. The vibrating rollers are a “welcome distraction,” he said. They relieve the sting that often comes with myofascial release. As for foam rolling aficionados, the rollers with vibration technology will be more beneficial to them as they can use it for massages as well. Foam rollers come in all sorts of shapes and sizes, so it’s easy to be overwhelmed. To help you get started, check out five of the best rollers today and how each of these tools can help you recover and take your performance to the next level. 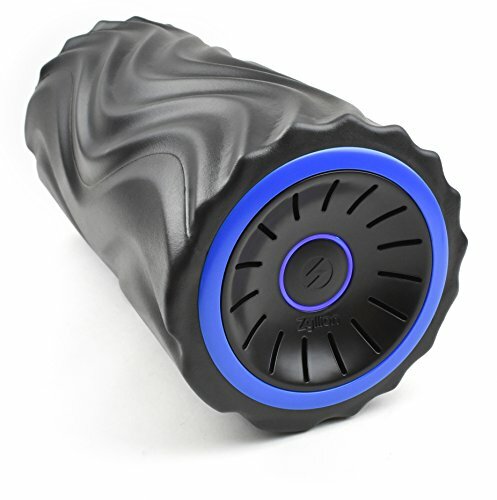 Professional athletes use this vibrating foam roller to recover from strenuous exercises and to improve their performance. But you don’t need to be intimidated by such a tool as it’s built to accommodate all fitness abilities. You can switch between three vibration speeds (low, medium and high). With its dynamic texture, you can achieve effortless muscle relaxation in no time. It’s six inches in diameter and 13 inches in length. It comes with a wall-outlet charging cable, which means you can charge the device anywhere and anytime. With one full charge, you can enjoy two full hours of vibrating massages. NextRoller made this tool with high-quality materials, and they offer it with a no-questions-asked one-year warranty. 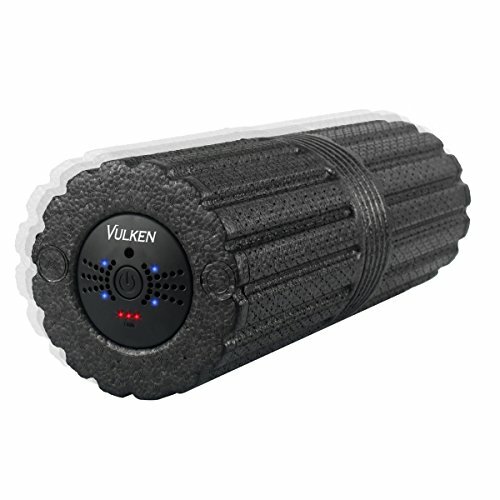 Vulken’s vibrating massage roller comes with four speed settings. It has low, medium, high and auto pulsating levels. With its powerful motor, it is able to deliver high-intensity vibration, enabling the tool to apply deeper pressure into soft tissue. You can roll out tight muscles and achieve better relief than with basic foam rolling. It is a large 17-inch roller that can be used on your legs and your back. However, it’s still ultra-light and portable. Best of all, it’s made from eco-friendly air infused plastic shell transfers that ensure maximum vibration. It has rechargeable batteries that give two hours of run time per charge. It also comes with a one-year warranty. Check current price. 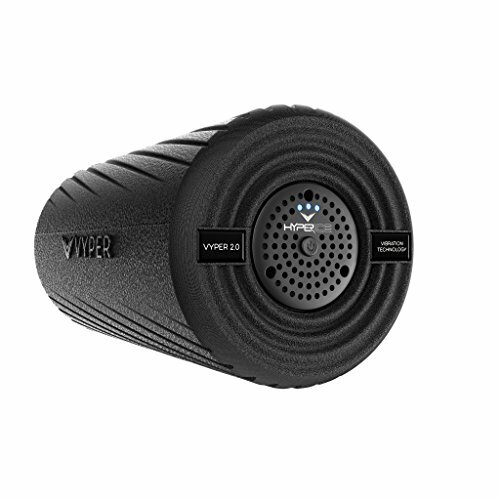 Vyper 2.0 is marketed as the world’s most powerful fitness roller. It has three vibration frequency levels that ensure you get the optimal amount of pressure and vibration. Compared to its predecessor, it’s a bit smoother. Its exterior is a blend of smooth and grooved surfaces made from polypropylene. 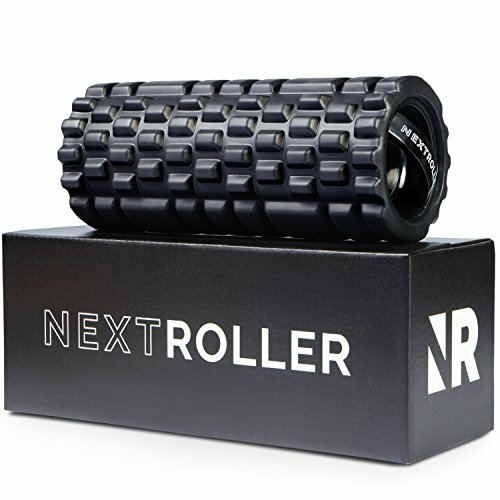 When paired together with its vibration technology, this fitness roller improves muscle recovery and does it two times better than traditional rollers. Vyper 2.0 improves blood circulation, making it ideal for pre-workout warmup exercises. It also reduces muscle soreness, stiffness, and pain associated with a myofascial release. With Vyper 2.0, you can significantly improve your performance and prevent potential injuries. Thus, it’s easily one of the best vibrating massagers in the market today. Check current price. The Zyllion vibrating foam offers a true massage therapy experience. It comes with three pressure zones that mimic the hands of a massage therapist. Wide ridges simulate palm pressure massage. Medium ridges mimic moderate finger pressure, while narrower rides offer a more intense massage experience, making it an ideal electric foam roller for self-massages. Itis made from durable materials that can withstand rough workout routines. It also comes with a sturdy travel bag to make your trip to the gym far more convenient. It comes with a one-year warranty. If something were to happen to your device within that period, Zyllion can send you a replacement model at no additional cost. Check current price. If you want fast relief from aching muscles, you will like the InfinityBall. It is designed to help professional athletes recover quickly from their injuries and return better than ever before. You can choose from four intensity levels and two vibrating spheres that allow you to choose the optimal pressure and vibration for relieving pain and rejuvenating your muscles. 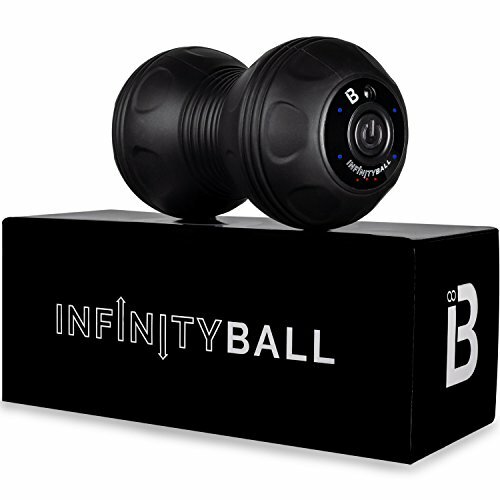 The InfinityBall is made from high-quality materials. It also comes with a no-questions-asked one-year warranty. Foam rolling, in general, has shown to improve mobility and flexibility. It’s also known to boost recovery. But with vibration technology in the equation, you can spend less time and effort on sensitive areas and still get better results. If you’re serious about relieving pain and improving your performance, then a vibrating foam roller is a must have.